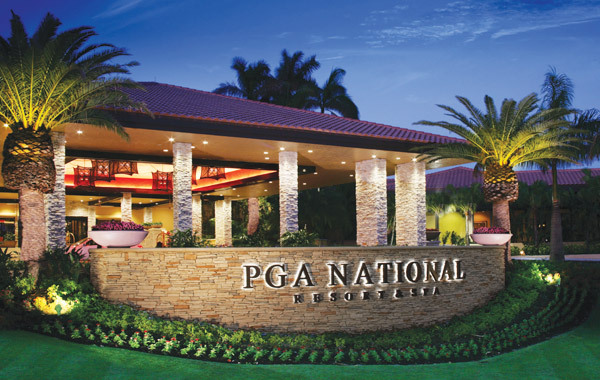 Golf PGA National Resort & Spa in Florida USA and experience a great golf holiday venue. 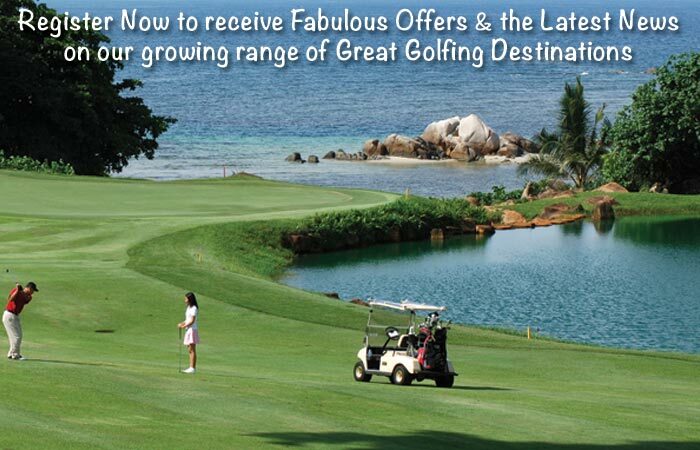 Travel with Golf Tours Abroad and play fabulous international golf courses. 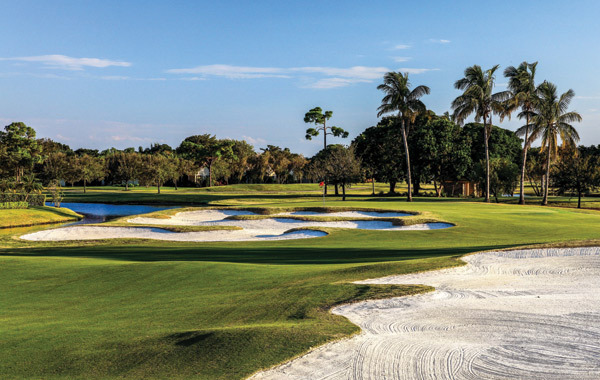 Florida has an amazing cluster of spectacular golf resorts and championship courses with PGA National at Palm Beach Gardens as a standout. 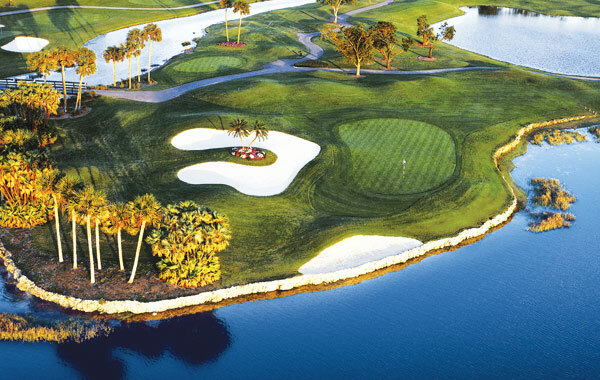 PGA National has 5 fantastic courses including Jack Nicklaus’ Champion course which is home to the PGA Tour’s Honda Classic. 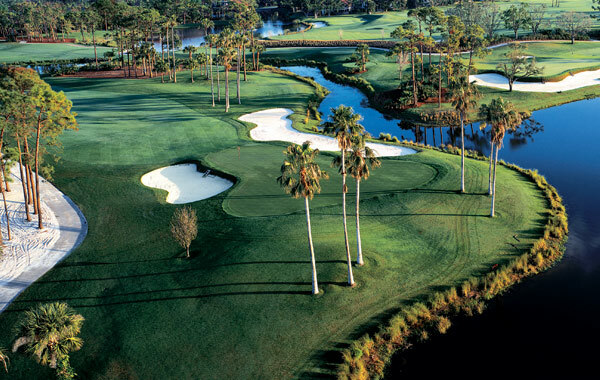 In fact the Champion course with Nicklaus’ 3-hole ‘Bear-Trap’ challenge has experts touting it as the most difficult course on the PGA Tour! 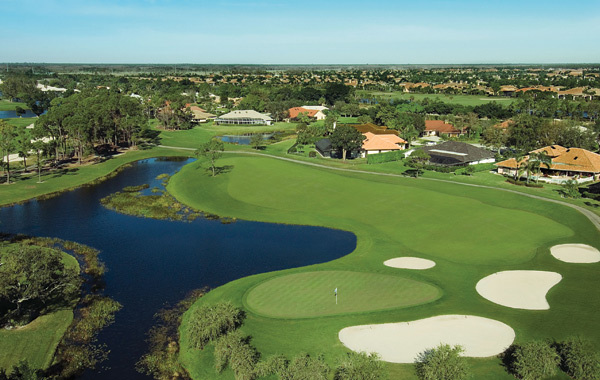 This package entitles you to a wonderful resort golf vacation where you can play one round on each of the 5 courses and enjoy world-class facilities. Your round on the Champion course also includes a Forecaddie whose local knowledge & tips will prove invaluable. 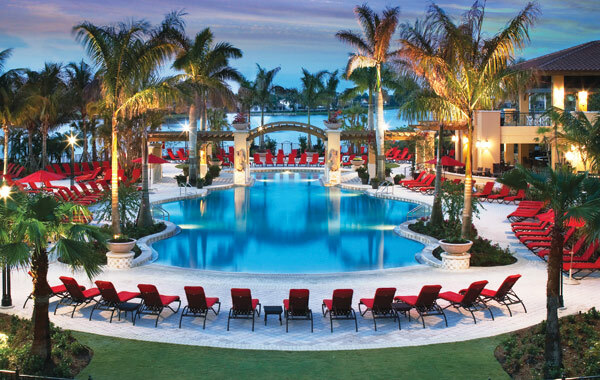 This magnificent luxury resort underwent a USD$125 Million renovation in 2015 – making it one of Florida’s top golf resorts that caters to legends. Apart from playing some of the best courses in the USA, you’ll experience outstanding resort facilities that will exceed your expectations. 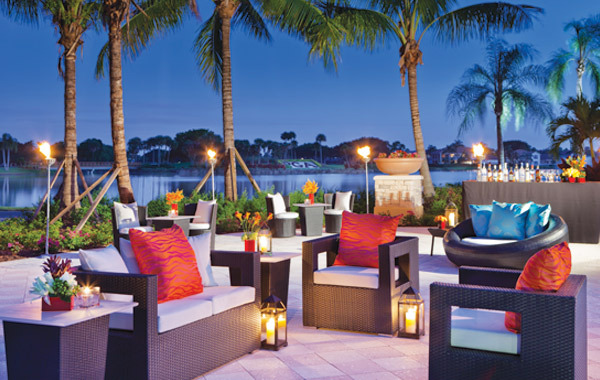 The dining options are impressive, with the Ironwood Steak & Seafood restaurant a favourite of ours along with the resort’s very own gourmet Food Truck serving a variety of delicious street food treats. 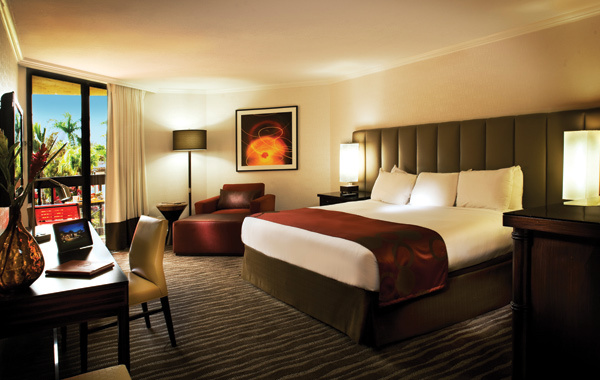 The resort also boasts first class spa, pool, gymnasium, sports & racquet club along with a superb variety of off-course activities to complete your golfing vacation. Please note this tour can be customised to suit your golfing and travel requirements. Whether it’s additional rounds, rental vehicles, extra nights or a different number of golfers, we’re happy to accommodate any of your requests. To book or ask us for further information about this tour, please complete the adjacent booking/enquiry form.